We believe that freediving should be easier and more fun. With access to depth within swimming distance, we can spend more time freediving and also have more time for fun instead of spending a great deal of time boating or even traveling from the shop to the dive site. As an SSI dive center, we provide personalized freediving education using the same world-class training methods, materials and standards but in a more laid-back environment. Dumagat Freedive also offers AIDA and WSF certification courses. And if that’s not convincing enough for you, we dedicate ourselves to providing personalized quality freediving education. Our instructor is a seasoned professional who has taught in some of the most recognized and established freediving schools. He has also taught many students who have continued on to become professionals in freediving. We are also located in an idyllic, quiet and unspoiled location perfect for learning and enjoying freediving. Freediving is holding your breath under water. It is diving without a scuba tank. Freediving gives you total freedom underwater and allows you to get closer to marine life in a completely natural way. Imagine being able to interact with the underwater environment more intimately without all the hassle and cost of scuba. Freediving instruction greatly improves your technique and breathhold ability, thus making you more comfortable diving at depth and increasing your time underwater. Only when you freedive without proper training. 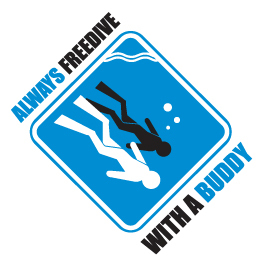 The main goal of taking a freediving course is to learn how to freedive safely. Do I need to have freediving gear for the course? It is ideal and sanitary to have your own mask, snorkel, fins and wetsuit, but they are not required. Owning your equipment also improves comfort and confidence during your course. While it is highly recommended to have your own equipment, we do have gear for the students. Do I need to be super fit for freediving? Freediving truly is for everyone. If you are able to swim, you are fit enough. It really is a lot easier than you might think. How deep will I be required to dive down? No one will force you to dive beyond your comfort level. However, there are minimum depth requirements for each course level. What if I want to further advance my freediving? Perfect! SSI is the largest school based training agency in the world. You can either continue your training and education with us or with any other SSI Freediving center in the world. Extend your freediving holiday with us or take your next freediving holiday somewhere epic! But I can only hold my breath for 10 seconds! When asked to hold their breath for the first time, most students struggle holding beyond a minute. After learning the breathing techniques used in freediving, students are very often able to do 3 minutes! Can I freedive if I smoke? Yes, you can. However, we don’t encourage smoking during the course. I have asthma. Can I freedive? The simple yoga-based breathing technique used in freediving has a calming effect which may help in controlling anxiety and asthma. So yes, you can. We’ve had many students who had not done any diving prior to taking our course. The majority of them are now in love with this wonderful sport. I’ve done a formal freediving course in the past. I’d like to do a training session to refresh and improve my skills. Can you accommodate me? Absolutely! We can evaluate your skills and help you with what you need help with. We can also rent you basic freediving equipment for use while training if needed.